When local and indigenous communities are faced with industrial projects the situation is often dealt with in research using terms such as resistance or power relations. Such viewpoints and extreme polarisation have been commonplace in the context of mining and reindeer herding in northern Scandinavia. In this article, I take a different approach. I argue for potential in the concept of refusal for understanding complex local realities in the context of land use disputes. I advance the understanding on the concept of refusal by detaching it from the resistance discourse and demonstrate that refusals can be utilised as an expression of cooperation and reciprocity. Furthermore, I introduce refusal to resist as a relevant category for local communities’ strategies of engagement with industrial projects. Local communities may utilise refusal to resist in a situation where they wish to secure the continuity of their livelihood without risking their outer group social relations. 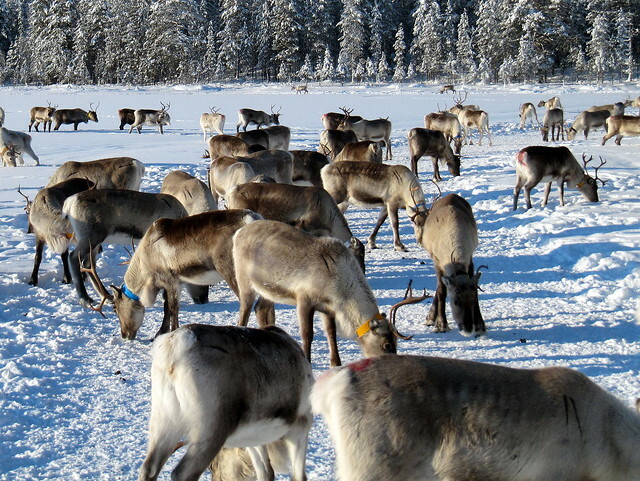 Photo: reindeer herd Lapland. Heather Sunderland/Flickr.